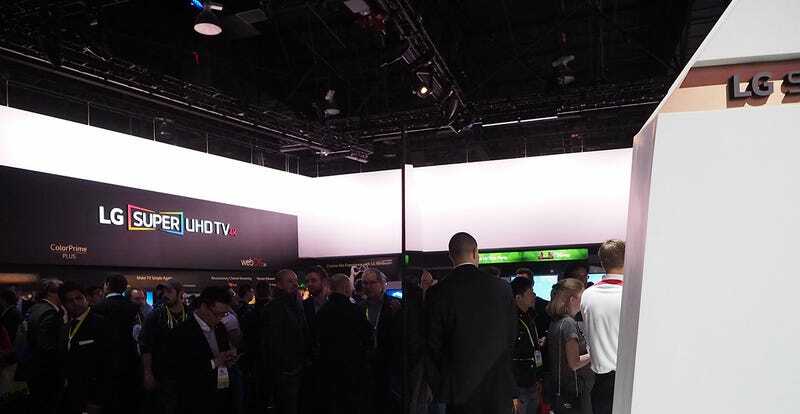 Can you see LG’s super-thin 4K OLED television in the photo above? It’s just 2.57 millimeters thick, giving it a virtually invisible profile. The design is crazy; it’s just an OLED panel dropped on a pane of glass. Nothing else. It’s stunning. But no one should deceive themselves that this TV has no footprint. It needs guts to run, not to mention a place to input HDMI connections. So it’s got a big base that holds all the electronics necessary to power that marvel of design. In the event that you do want to want to wall mount the TV, the base folds back. But still, it’s hardly the flat sheet the profile at the top suggests. Nothing is what it seems.